Gulf and Arab investors have been powering the Dubai property market, together accounting for Dh40.5 billion in property and plot purchases in the first nine months. In fact, 7,841 Gulf nationals were participants in 11,000 transactions during the period, parking a massive Dh29.5 billion in Dubai. 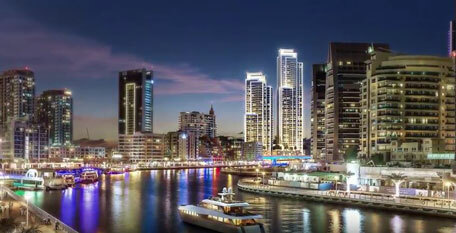 To that is added the Dh11 billion from 5,484 Arab buyers from 6,806 deals, according to the Dubai Land Department. The split of real estate purchases involving other nationalities have not been provided. There was also fairly high activity among foreign investors, with 17,616 investors making 22,667 transactions worth Dh43 billion plus. “We are extremely happy as the real estate market continues to maintain its momentum, driven by a general optimism among Gulf, Arab and foreign investors,” said Sultan Butti bin Mejren, Director-General of Land Department. The Gulf and Arab investment numbers are remarkable given the backdrop of tensions over the Qatar issue, which broke just before summer. “The Dh84 billion worth of real investments made during this period is also a sign of sustainable growth and the market’s ability to absorb the developer demand for residential, commercial, office and industrial properties,” said Mejren. Meanwhile, when it comes to gender, women were also actively involved in the market over this period, with more than 9,000 entering the market and making a total of 11,000 transactions worth over Dh21 billion.